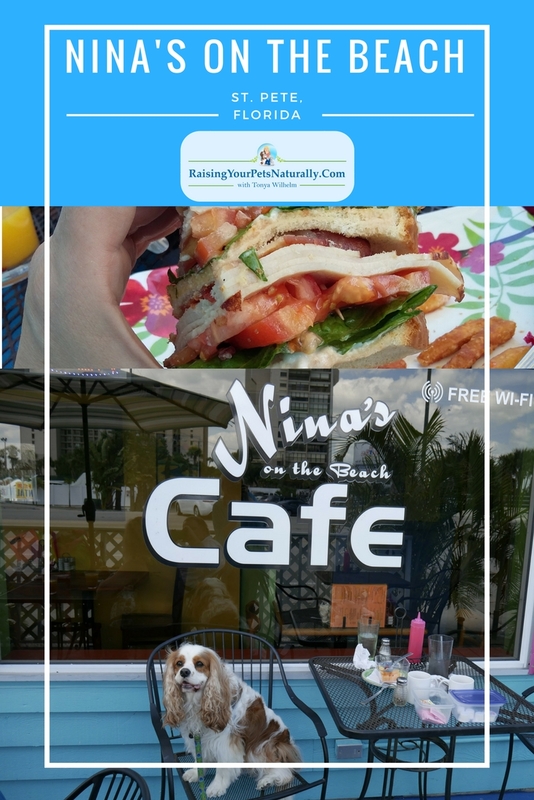 During our dog-friendly Florida vacation, we had our share of great food, and Nina’s on the Beach Cafe in St. Pete was no exception. Nina’s Cafe is owned and operated by Laura and Jason Mattingly from Louisville, Kentucky. 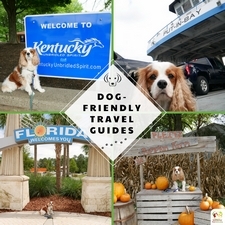 This dog-friendly restaurant has a relaxed, casual atmosphere, something I particularly enjoy. 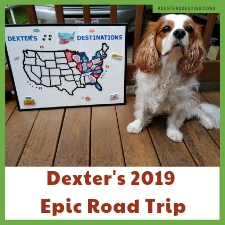 Vacationing with my dog Dexter means that Dexter and I eat at outdoor cafes and restaurants regularly. I actually love this, because we get to enjoy the outdoors. When my family, including Dexter The Dog, and I arrived at Nina’s on the Beach Cafe for lunch, we were impressed to see that the outdoor tables were clean and shaded by large table umbrellas. We choose a table that had a slight view of the water. Our server came quickly after we sat down and welcomed us, including Dexter. Nina’s offers breakfast and lunch service from 11am – 2pm. The menu offered a variety of food items including soups, salads, breakfast foods, and sandwiches. It wasn’t going to be an easy decision for me since there were a variety of menu items I would enjoy. 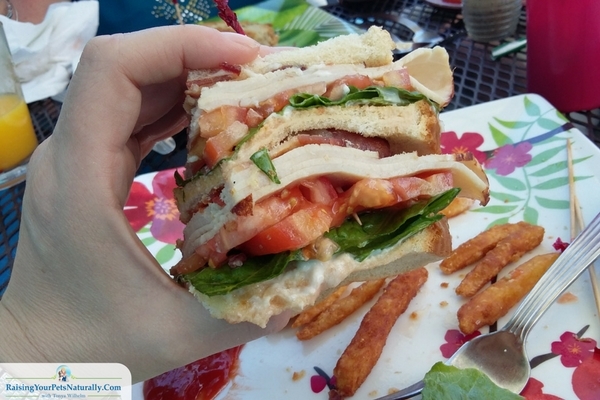 I ended up going for the club sandwich, a triple-decker BLT with turkey and a side of french fries. My mom went for the Reuben sandwich and my step-dad went for the triple-decker club sandwich with ham. Our food arrived quickly and it was obvious by just looking at the plate that the ingredients were fresh. The club sandwiches were delicious, moist and filling. The french fries were crispy and not greasy with a great flavor. I hate greasy food! My mom said her Reuben was perfect and the meat was lean and not fatty like some other Reuben sandwiches. The portion sizes were great, although my Mom only had room for half of her sandwich; it was packed high with corned beef! 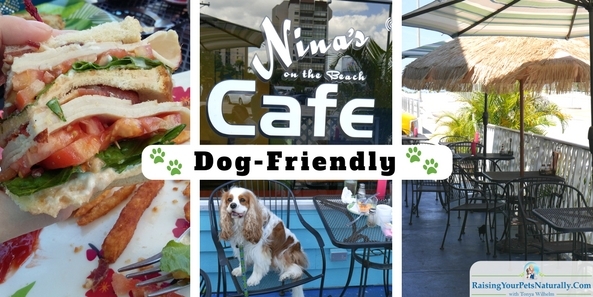 I really enjoyed the casual and friendly atmosphere at Nina’s on the Beach Cafe. The service was very welcoming and quick. The food and location were perfect for a dog-friendly casual dining experience. Nina’s on the Beach Cafe is a good neighborhood family restaurant that I can recommend. 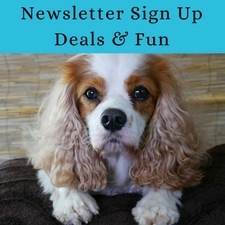 So bring the pooch and head on out to St. Pete to enjoy this dog-friendly cafe. 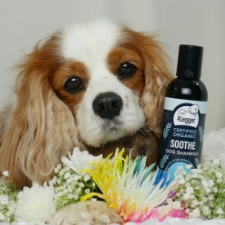 Do you take your dog to dog-friendly restaurants? 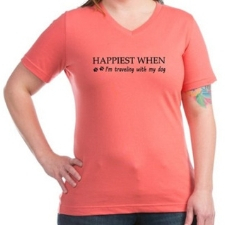 Let me know below in the comments. 🙂 Ya, not sure why people enjoy grease. hahaha Nina’s was so fresh and tasty. 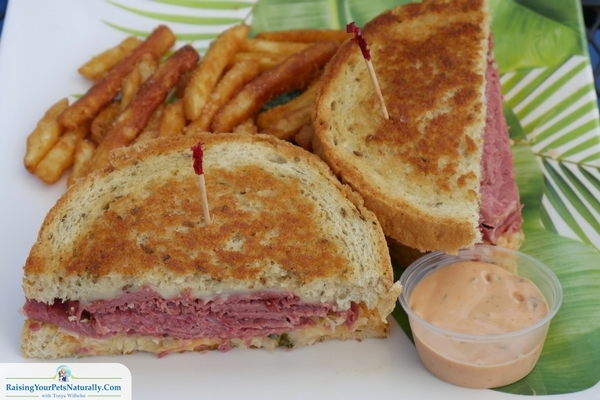 That Reuben looks awesome. I’m from St. Pete. Originally. 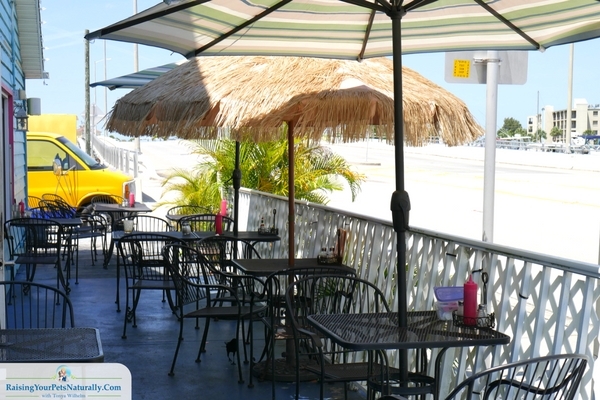 Love eating a great places on the Beach! 🙂 My mom LOVED it. The food was so good and fresh.